Jon-Mikel and Jackie bonded over a love of the outdoors and sports, and the rest as they say, was history! When a bride chooses the end of March for her wedding date, she can hope for a gorgeous spring day but unfortunately there was still quite a winter chill in the air for this wedding day. That didn't stop this great bride and groom from braving the chill to get some outdoor portraits. All the details fell together perfectly for this Rockwood Mansion wedding event. As far as a place with charm and character, this is place defines that. Jon-Mike and Jackie, thanks again for having me capture your day and congrats again! Jackie made such a beautiful bride! 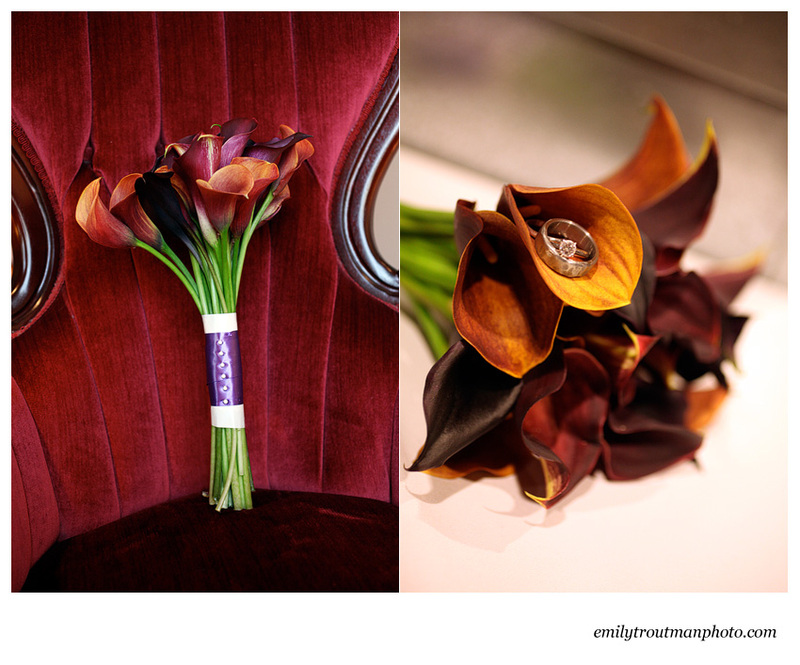 Loved these florals but you know I am a sucker for a cala lily! 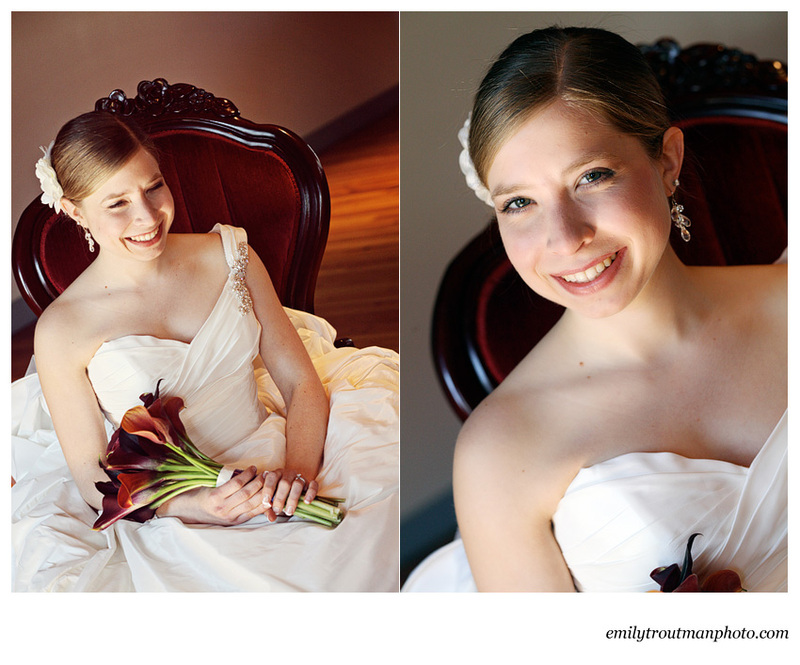 I was also smitten with this gorgeous red antique chair that was perfect for some bridal shots! I think this is one of my favs of the day! This last shot was from my wingman for the day, Rhonda Bowman, who did a great job as second shooter!